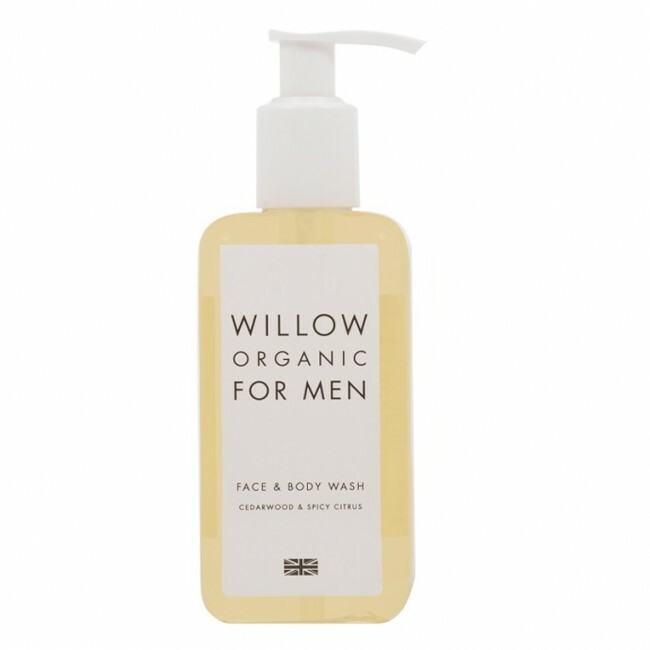 A refreshing and hydrating face & body wash, fragranced with spicy Cedarwood & Citrus. Cleansing and moisturisng face and body wash enriched with organic Joba oil and Aloe Vera. Willow's wash for men is refreshing and hydrating, especially good for men with sensitive skin. Offering Men a fragrance of Spicy Cedarwood and Citrus - woody and citrus tones that are masculine but not overpowering. 250ml pump bottle.